As conservatives mean it, "to Bork" is "to attack a person's reputation and views unfairly," as Bork himself stated in a July 1 interview on CNN. The obvious implication of Bork having been "Borked" is that he was wrongly denied a seat on the high court. 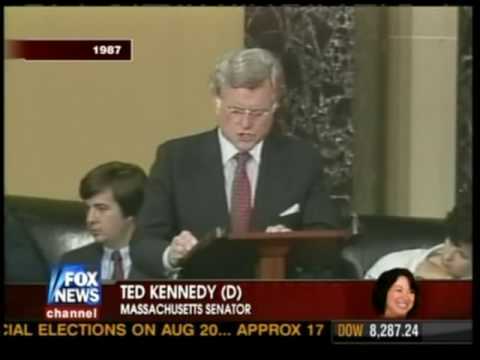 An alternate view is that the questioning of Bork's views and the characterizations of his record were appropriate and accurate, and that the Senate was correct to reject Bork as a nominee in 1987. In other words, the notion of "Borking" is right-wing mythology. To pro-life legal groups, Bork's originalist views and his belief that the Constitution does not contain a general "right to privacy" were viewed as a clear signal that, should he become a Justice on the Supreme Court, he would vote to reverse the Court's 1973 decision in Roe v. Wade. Accordingly, a large number of groups mobilized to press for Bork's rejection, and the resulting 1987 Senate confirmation hearings became an intensely partisan battle. 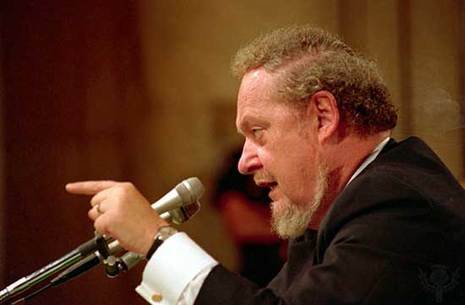 Bork was faulted for his bluntness before the committee, including his criticism of the reasoning underlying Roe v. Wade. On October 23, 1987, the Senate rejected Bork's confirmation, with 42 Senators voting in favor and 58 voting against. Two Democratic Senators David Boren (D-OK) and Ernest Hollings (D-SC) voted in his favor, with 6 Republican Senators John Chafee (R-RI), Bob Packwood (R-OR), Arlen Specter (R-PA), Robert Stafford (R-VT), John Warner (R-VA) and Lowell P. Weicker, Jr. (R-CT) all voting nay. The vacant seat on the court to which Bork was nominated eventually went to Judge Anthony Kennedy. Bork, unhappy with his treatment in the nomination process, resigned his appellate-court judgeship in 1988.